A journey through 2000 years of history between the Fourvière and Renaissance quarters, from the Rhone to the Saône. There are two impressive hills that mark the Lyon landscape, one is said to pray, because of its basilica and convents, while the other works; it was formerly home to many silk weaving workshops. It is also said that there aren’t two but three rivers that run through Lyon: the Rhone, the Saone and the city’s history. 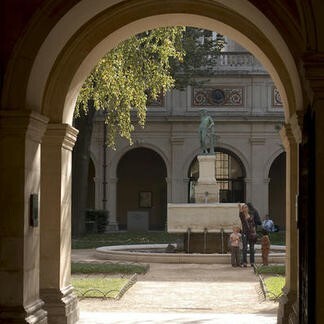 So why not let yourself be carried along by the current and immerse yourself in the culture of Lyon, capital of Gaul.